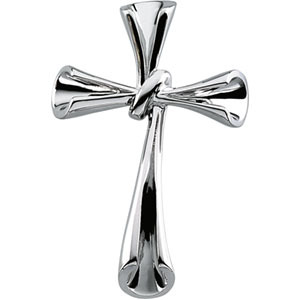 This large twisted concave cross pendant is made of sterling silver. Dimensions: 34.75mm x 22.75mm. Chain sold separately. Weight: 4.60 grams. Hidden bail fits up to a 3mm wide chain.